Unfortunately, I’m not a big salad person. I know some people who can eat a salad for lunch everyday but I’m just not one of those people as much as I wish I was. Every once in a great while, I’ll go through a salad phase, but that comes and goes with the solar eclipse. I just don’t enjoy chomping on lettuce. I love baby spinach but only when cooked or topping a sandwich. But recently I realized that I do like cabbage. Maybe because there is more heft to it. This is a realization for me because I never ate cabbage as a kid. Not even the little cups of creamy coleslaw that seemed to sit beside every sandwich at every restaurant. 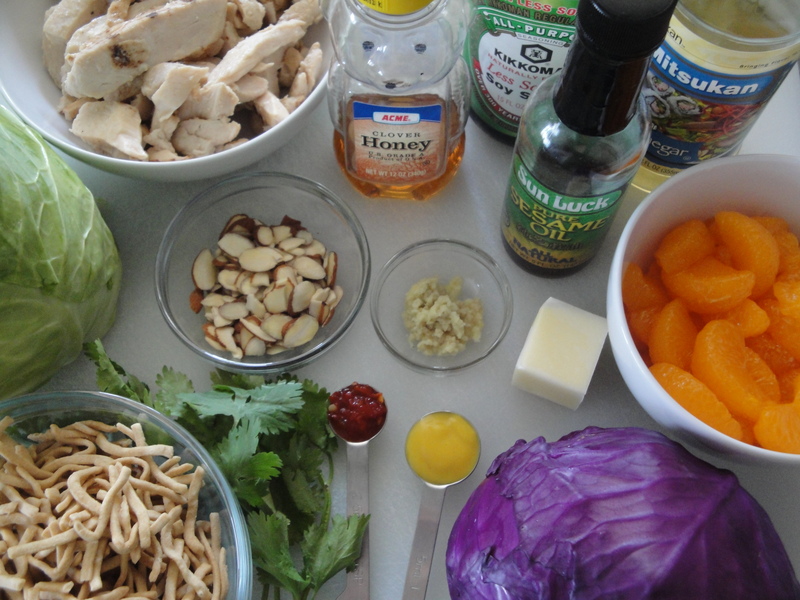 But since this blog is making me expand my horizons a little, I boldly lifted two different kinds of cabbage into my grocery cart this weekend in order to make Asian Chicken Salad. 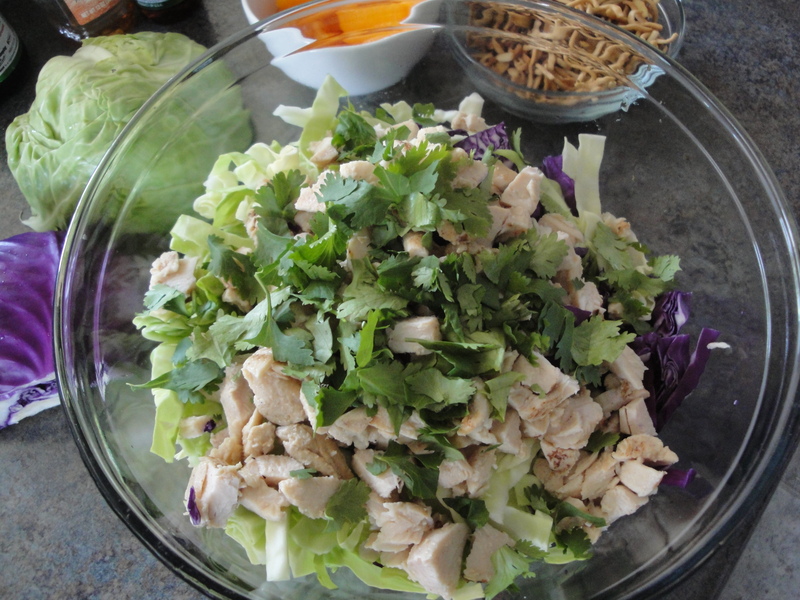 Napa cabbage and red cabbage are mixed with chopped chicken and cilantro and tossed with a spicy, gingery, Asian dressing. The dressing calls for Chinese mustard (I got mine from a leftover Chinese food packet!) but if you don’t have any, I think dijon or even yellow mustard would work. The dressing gets heat from the chile paste and a slight sweetness from honey. 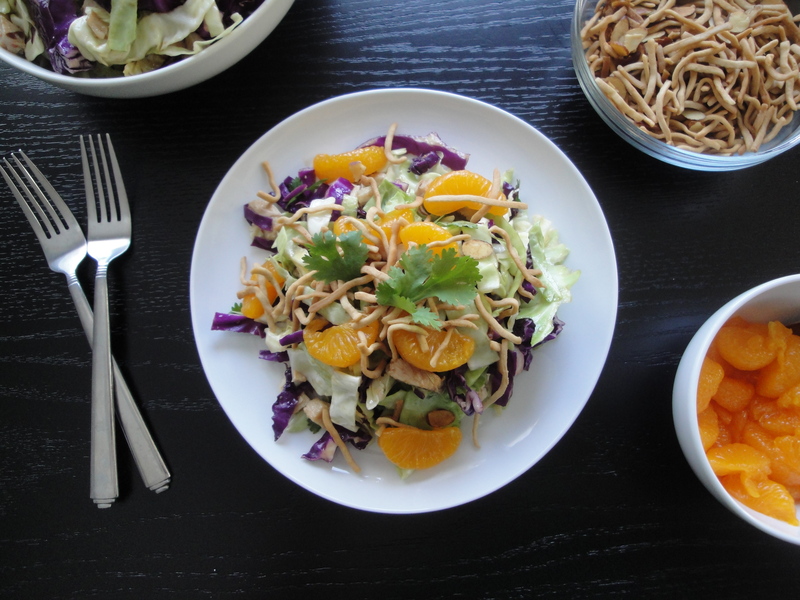 Topping it all of are toasted almonds and Chinese noodles (I used chow mein noodles) which add a buttery crunch and sweet, juicy mandarin oranges. 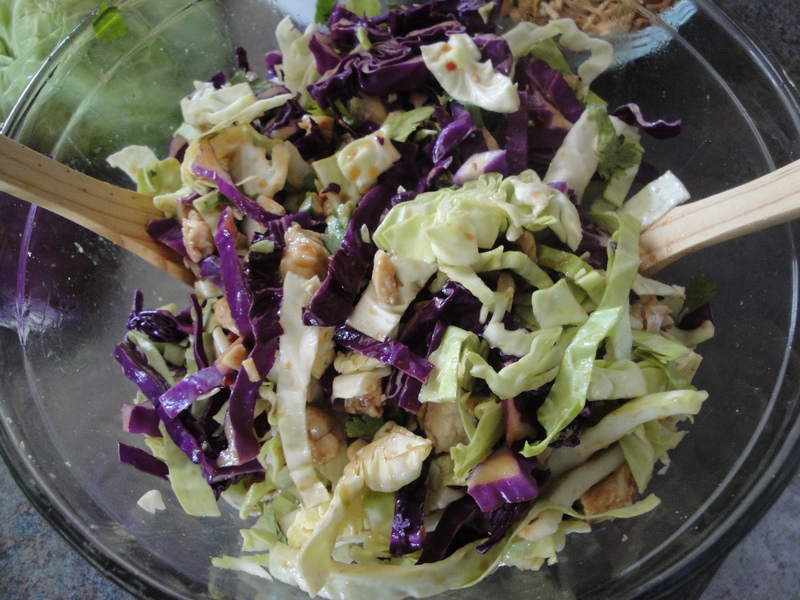 This is a great salad which will travel well for a picnic or, if you plan on eating it over a few days, toss the dressing when you are ready to eat to keep the cabbage from getting soggy. Don’t be intimidated by the list of ingredients in this recipe (which is one of Cooking Light Magazine‘s Superfast recipes) because if you use precooked chicken, it can be made in less than 20 minutes. This is one salad I won’t mind eating everyday. 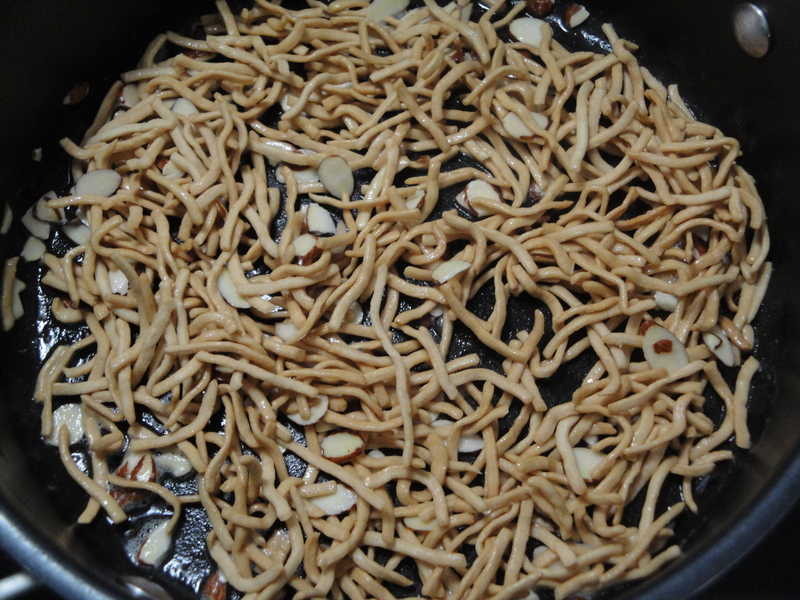 In a large nonstick skillet, sauté almonds in melted butter over medium-high heat for 1 minute. Add in Chinese noodles and sauté for 3 minutes or until toasted. Set aside to cool slightly. 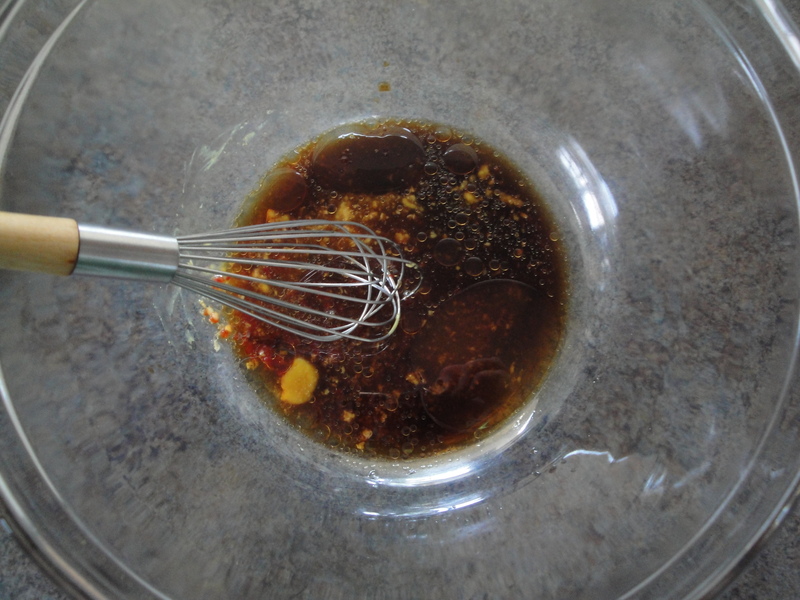 In a large bowl, combine soy sauce, rice vinegar, sesame oil, honey, Chinese mustard, ginger, and chile paste (sambal oelek) with a whisk. Add in cabbages, chicken, and cilantro and toss gently to coat. 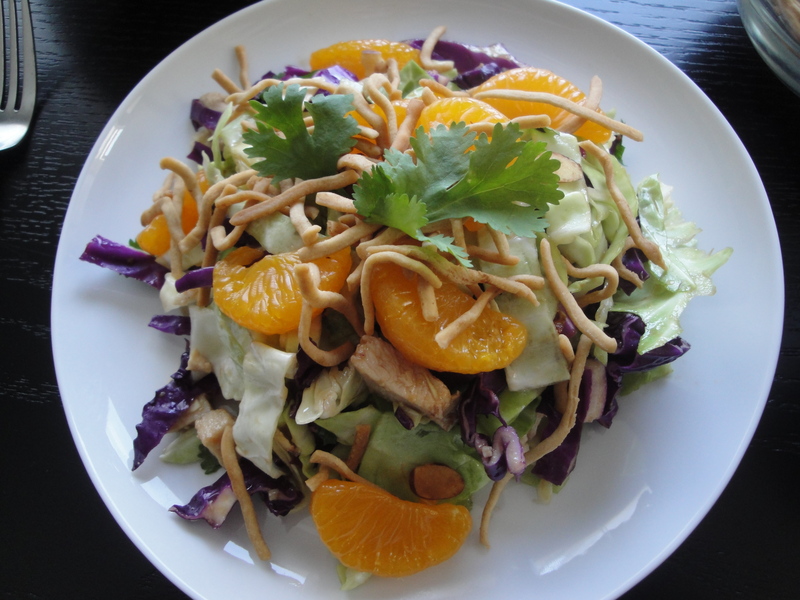 Top salad with oranges and noodle/almond mixture.